Comparison of standard brain MRI image with the three dimensional internal structure of the brain revealed by Diffusion Tensor Imaging (DTI). A new book by New York-based freelance journalist Adam Piore, who reported from Cambodia some 15 years ago, provides fresh insight into advances in human augmentation. His book, “The Bodybuilders: Inside the Science of the Engineered Human”, which goes on sale in March, is about people rebuilding their broken bodies using new technologies. Each chapter traces the story of someone who has gone through a tragedy, which as a result has affected them physically and mentally. However, with the help of science and technology, they have been restored. “Technology is helping to restore them and sort of showing that same resilience that I saw in people in Cambodia, but also anywhere that I have seen people who have been through difficult things,” Piore said. He says that it is now possible to re-grow basic body parts, such as a finger or leg muscles, but complex body parts, such as an arm, are still a way off. 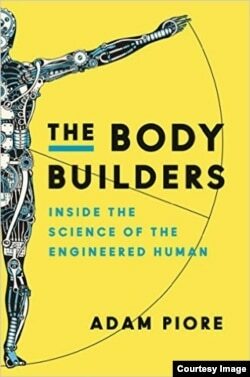 “The Body Builders: Inside the Science of the Engineered Human” will be out on March 15. “There are some people who are re-growing pieces of fingers and re-growing the leg muscles. They have shown they can do that and what they have done is they have figured out how to harness stem cells and to repress the immune response, but the problem with growing an arm is that it’s [a] different kind of tissue,” he said. The big takeaway from the book is that we are not only now able to restore lost abilities, but in fact can augment our abilities through what is called neuroplasticity.